Very close to the city of Zakynthos, Argasi is a small but modern town, equipped to satisfy the tourist’s needs with many kind of services. 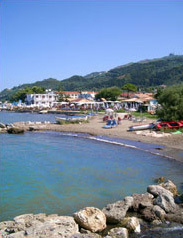 The town is located along the coastal road and offers the visitor the possibility to choose among many restaurants, traditional taverns and clubs where night-lovers can enjoy themselves till late night. 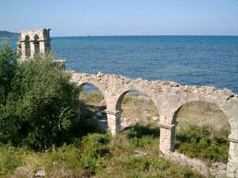 Near Argasi it is possible to visit the ruins of old churches, houses, bridges and aqueducts, some close to the sea, others inland hidden by vegetation. The gulf where the beach of Argasi is located is beautiful to admire at night driving back from Vassilikos to Zakynthos. You can see both the small town of Argasi and the main city of Zakynthos. Argasi beach consists in many small bays, equipped with many snack bars in the greenness and the waters here partly hide the ancient ruins of a Roman bridge. 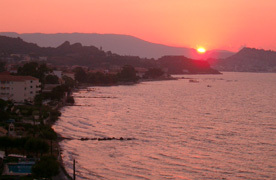 Argasi is connected to Zakynthos by bus with daily runs. It is also possible to rent cars, jeeps, motorbikes or bicycles in one of the many rentals of the town. 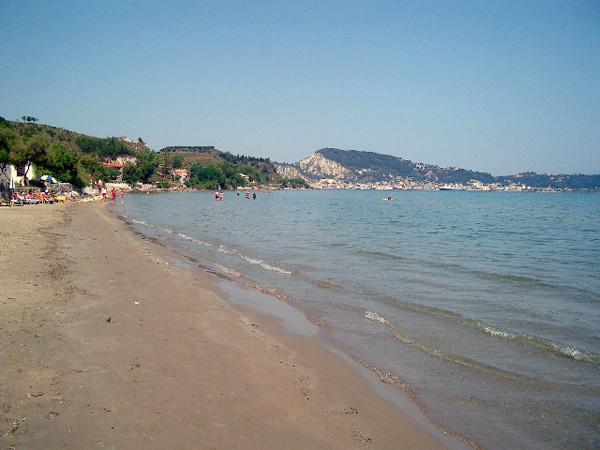 Also moving by taxi is not expensive if you want to go to the main town of Zakynthos. There are many shops in Argasi and of every kind: supermarkets, cake shops, souvenir shops, clothing store, jewellers and many others. Moreover, on the road to reach the main town, there are 3 or 4 clubs very popular on the island also for the important DJs that are called during the summer. Argasi is a town of medium dimensions offering different solutions such as hotels, flats, studios of every kind and necessity. There are quieter areas and other in the middle of the entertainment where to spend a holiday according to one own tastes.